Alana Taylor is a yoga teacher, musician, and ocean lover. She has taught yoga for several years and loves seeing people transform, range of motion increasing and energy becoming more calm, focused, and consistent. Alana is so grateful to be a part of each of her students’ journeys. In addition to yoga, Alana sings because if feels good and paints because she loves to express herself without talking! Long hikes in the forest with her dog and husband or a paddle on the ocean are equally as restorative for her. Alana strives to bring that balance into her life every day in some way. Breathe in, let go, and lean in. Namaste! Garth is an industry veteran with extensive expertise training private clients, coaching teams, and teaching a variety of fitness classes. With over twenty years of experience in the fitness industry, he has helped clients of all ages attain their maximum physical potential and overall health goals. Garth’s approach to strength and conditioning has helped enhance the performance of his varied clientele, not limited to but including professional and junior athletes, children, teenagers, expectant mothers, business professionals, and seniors. Garth is a former member of Canada’s National Rugby Team, as well as a BC Junior A Hockey alumni. His time in the BCHL with the New West Outlaws, Surrey Eagles, and Trail Smoke Eaters taught him resilience, discipline, and patience, as did competing amongst some of the fittest in the world as one of the first Canadians to attend the CrossFit Games. Now retired from competitive sport, Garth carves out time to serve as the head coach of the Capilano Rugby Club. His experience with high-level athletics lead him to develop a unique training method, focused on proper mechanics, balanced programming, and encouraging clients to reach their desired levels of physical performance through safe and consistent progress. 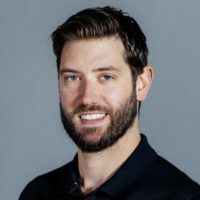 As the Director of Fitness at the NSWC, Garth oversees all fitness operations, providing leadership for team and group classes as well as personal training. 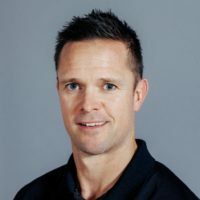 Garth manages the strength and conditioning for hockey, tennis, and swimming, whilst creating and coaching new class formats and generating a fantastic culture and environment for all fitness users. Joanne is a Certified Stott Pilates Instructor in Matwork, Barrels, Barre, and Reformer. In order to gain more experience, Joanne attained certifications in Yoga (200 hours) and YIN Yoga and has an in-depth knowledge of equipment, modifications, and props. Joanne is passionate about teaching and helping clients to become strong, balanced, and flexible. 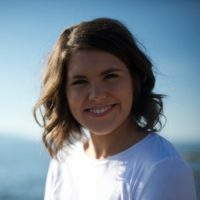 She’s been teaching since 2006 and has been working with students at YYoga, ICBC, Equinox Integrative Wellness Center, and at the NSWC since she moved to Vancouver eight years ago. She hopes to see you in one of her classes soon! Jordan graduated from the University of the Fraser Valley in April 2016 with a Bachelor of Kinesiology degree. Being involved in dance all of her life, Jordan has experienced the benefit of taking care of her body while being active and wants to facilitate the same opportunity for others. It brings her great joy when her treatments are effective in helping people move without pain, improve performance in their chosen sport, and increase their quality of life. Jordan’s main focus is Fascial Stretch Therapy (FST), but also has a background in Fascial Movement Taping (FMS), including Rock Tape, Active Isolated Stretching (AIS), and Voila Structural Joint Balancing. When she is not working, Jordan likes to spend as much time as possible outdoors, engaging in activities such as hiking, paddle boarding, and swimming. 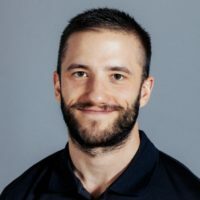 Nick has been working at the NSWC since 2013, training a variety of clients including those returning from injuries to various groups of dry land hockey players. He has spent many years rehabbing his own serious injuries and has always come back stronger and smarter. Because of this, Nick focuses on prevention and maintaining a balanced, focused program tailored specifically to each of his clients. 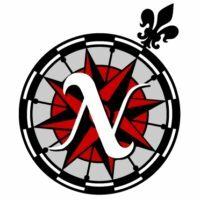 Nick has played hockey since he was a child, spent many years training in martial arts, teaches self defense, and coaches soccer professionally. Whatever sport, Nick can help! 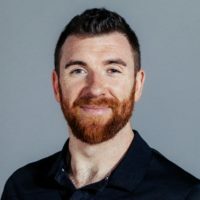 Born in Dublin, Ireland, Oisín has followed his passion as a personal trainer and a group exercise leader for over twelve years, specializing in rehabilitation and postural re-alignment. Wanting to challenge himself both mentally and physically, Oisín joined the Canadian BC Wildfire Service in 2016 and fell in love with Canada. Oisín found his niche on the North Shore and opened two companies 2017 and 2018. Currently, Oisín is collaborating with the BC Dental Association to better educate dentists on correct posture, aiming to minimize work related injuries and provide practical solutions for dental professionals. Oisín is also works with seniors in various senior centers in the Lower Mainland, focusing on minimizing slips, trips, and falls among the elderly demographic. Oisín believes that through education and awareness, people of all ages and professions can learn to live pain free. His philosophy emphasizes that physical structure will ultimately dictate its function and with corrective strength training in conjunction to light rehabilitation, results can be outstanding. The primary focus of Sam’s training is assessing and addressing his clients’ strengths and weaknesses in order to find ways to challenge them to get stronger each and every day. Their goals are his goals, plain and simple! Sam creates a demanding and engaging training environment and concentrates on areas pertaining to the specific requirements of an athlete and how they relates to sport and life. This includes balance, foundational strength, functional and dynamic movements, core activation, s.a.q (speed agility quickness), power, flexibility, and body maintenance.